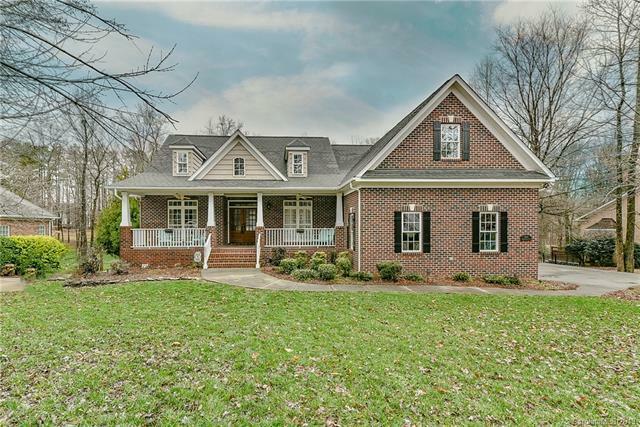 Full Brick Ranch with Walk-out Basement and Walk-up Unfinished Bonus! Located on the 7th Tee Box of the Divide Golf Course. Gorgeous Brazillian Cherry Wood Floors throughout the Main. Family Room with Built-ins and Fireplace with Gas Logs. Kitchen and Breakfast Areas are Open to the Family Room. Kitchen with Stainless Steel Appliances, Granite and Bar Seating. Breakfast Area with Computer Niche and Access to the Screened Porch. Split Floorpan with Bedroom 2 having its own Private Bathroom. Master Bedroom with Double Tray Ceiling. Master Bathroom with Dual Sinks, Jacuzzi Tub and Walk-in Closet. Basement is Fully Finished and Perfect for Entertaining! Full Kitchen with Granite Counters. Large Rec Room, Play Room, Bedroom, Full Bath and Theatre Room with Sconce Lighting, Projector and Screen. Beautiful Screened Porch with Eze-Breeze Screens and Wainscot Ceiling, Recessed Lighting, and Trex Flooring, 30K Addition! Deck and Stone Patio overlook Fenced Yard. New AC 2018. Offered by Holden Realty. Copyright 2019 Carolina Multiple Listing Services. All rights reserved.